09.13.09 = The air is changing and we are having cooler days and nights here. Almost all my flowers are gone so it was time to do a little clean up of the beds. Out with the old and in with new fall color. the photo really displays the season! Great composition! 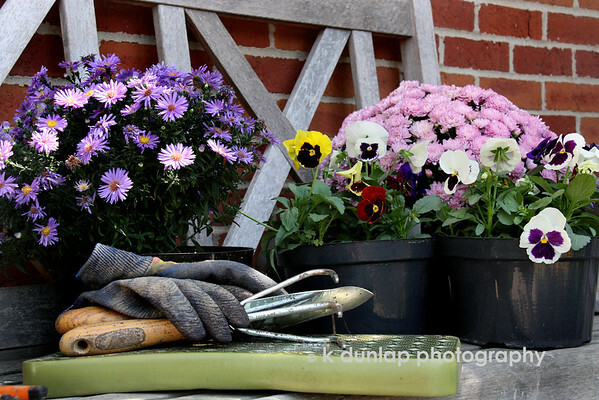 I like that you've included just a little bit of the bench and the brick wall as a backdrop to the soft flowers! !